GOOD THINGS NEED TIME… sometimes! 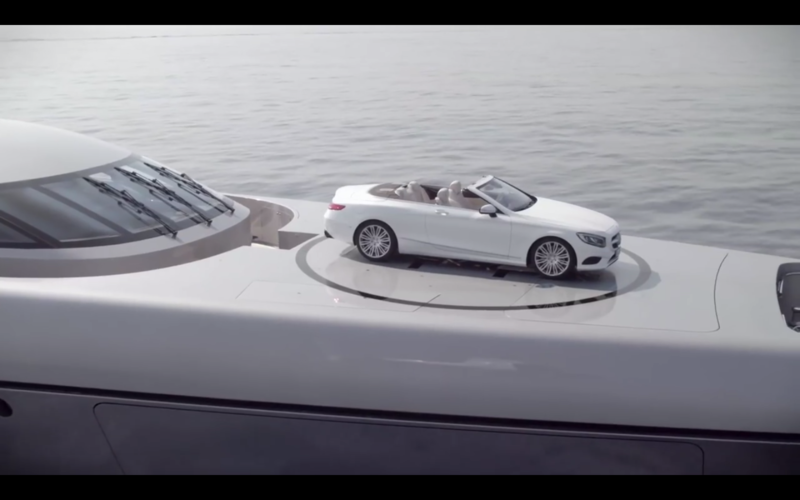 In early 2009 YES-yachts.com ‘s idea has been discussed with the official promotion agency ECD to present Mercedes’ newest luxury car aboard of a megayacht. Combing luxury cars with luxury yachts in the stunning surroundings of Monte Carlo and the well known Cote d’Azur. Shot by a professional film-team with innovative movie-drones and a car Fly-in by a helicopter…featuring prime music artists. Have a look behind the scenes while making the presentation movie and see the final outcome of this marvelous Mercedes Benz product presentation below, too. 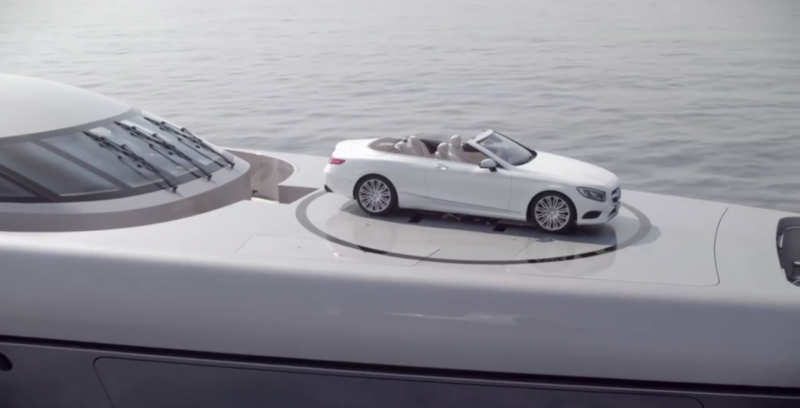 Do you want to realize your luxury product presentation aboard of a yacht, too? Just get in touch with us, now. This entry was posted in events, news and tagged branding, collaboration, drone, event, films on yachts, incentives, marketing, Mercedes Benz S-Class Convertible, movie shot, product presentation, promotion, video. Bookmark the permalink.